Jafar, the evil sorcerer from Agrabah, has his own motives in Wonderland. Having taken Alice’s one true love, Cyrus, captive, he is equally as evil as The Red Queen. 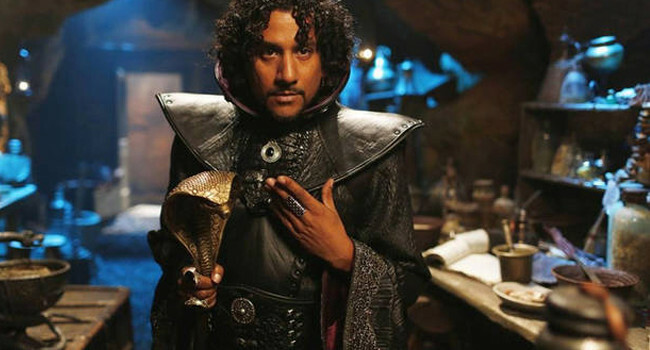 Time will tell what Jafar’s true motives are. Desperately seeking a way to prove her sanity, Alice travels back to Wonderland to find proof of its existence. Unfortunately for Alice, she ends up locked away in a sanitarium until she is saved by friends from Wonderland.